Cross-platform data based mobile messaging services like WhatsApp, WeChat, Line are very popular these days. Using any Smartphone, one can easily get connected with their existing contacts and start chatting or share videos and pictures using mobile data connection of existing Wi-Fi network. If you are not having a Smartphone because of any reason, you may find yourself disconnected with its users. Even if you are having a Laptop or Desktop (PC, Mac), there is no official download available as PC or Mac version of these apps. 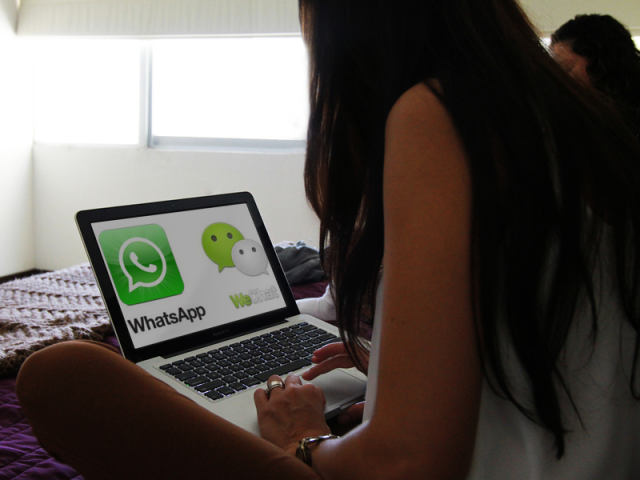 But there are workarounds to use WhatsApp, WeChat or other mobile messaging services on PCs and Laptops. To use the Android version of WhatsApp, either you need an Android phone or a well running Android emulator or SDK. There are so many emulators around, but I find BlueStacks App Player a real treat. It is now available for free and one can install the same on Windows PC, Laptops or Mac OS as well. It is a very smooth emulator with full screen ability. 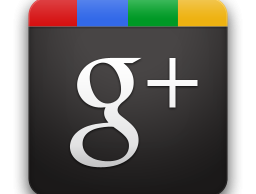 You can install and run Android apps from Google Play Store by signing up with existing Google Account. 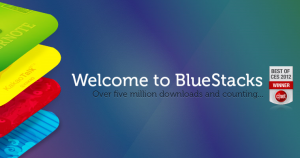 Once you install the BlueStack emulator on your PC, run the program or click on the icon for one already running in system tray. On the home screen of this emulator, there is a search box. Type WhatsApp or the name of the application to install. Emulator will open Google Play Store inside the screen and ask you to single sign-in with Google Account. After Google Account one-time sign-in, you will be redirected to WhatsApp page on Play Store. Click on the “Install” button available on Play Store page. WhatsApp should be installed on the Android emulator without any problem. Aftre installation, you need to setup WhatsApp. Select your country from the list and enter any of your mobile number which is not yet associated with WhatsApp. Or you can also enter a mobile number whihc is there on a Smartphone with an instance of WhatsApp running on the same. According to the TOS of WhatsApp, you are allowed to run WhatsApp on only one device with the same mobile number. In that case, if you enter and verify an existing WhatsApp enabled mobile number here, the one on real mobile phone will stop working. After entering the mobile number, WhatsApp will verify the same. You may receive a SMS with verification code on your real phone. Ignore that verification code and try re-verifying the same number on emulator. It will ask to verify again after 5 minutes and WhatsApp does re-verification on certain time gap. In the next verification, it will ask you to click on the “Call Me” button to verify the device and mobile number by calling on your mobile phone. 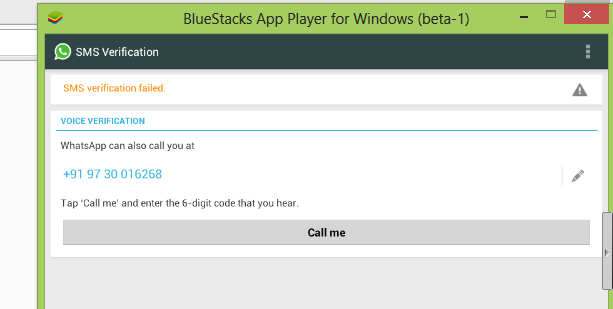 Once you click the “Call Me” button on emulator, you will get a call on your real phone. Write down the verification code received on call and enter the same inside the emulator. That’s it, now your emulator is a verified device with entered phone number. The next step is to add contact numbers to start chatting with your friends and family members who are already using WhatsApp. As you are using a computer (PC or Laptop) and not a Smartphone, you may need to enter the contacts for one-time. I would suggest to use Address Book app from Play Store to add contacts. After that, export the contacts to SDCard as vCard. 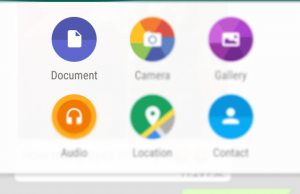 Now open WhatsApp contacts and import the contacts over there from SDCard. 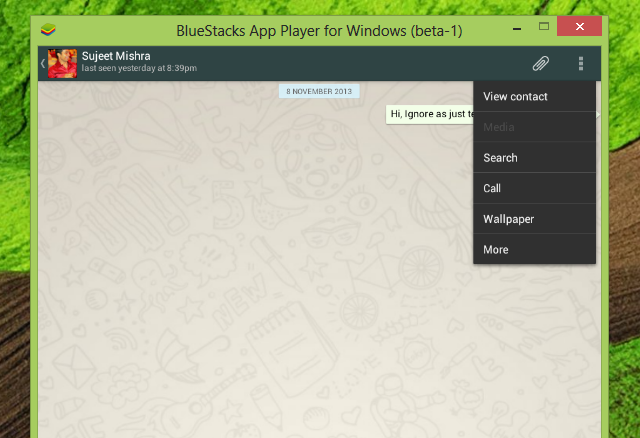 Once contacts are added, you can start chatting with WhatsApp users using your computer. Using the similar procedure, one can install and run WeChat app as well. Line messaging app is already having a Windows version of the application, so no need to follow the above procedure in that case. YouWave is another emulator for running Android applications on PC. One can also use Android Remote Access applications to use WhatsApp like apps on computer, but if you are already having a Smartphone, there is no need to use it on PC through remote access.